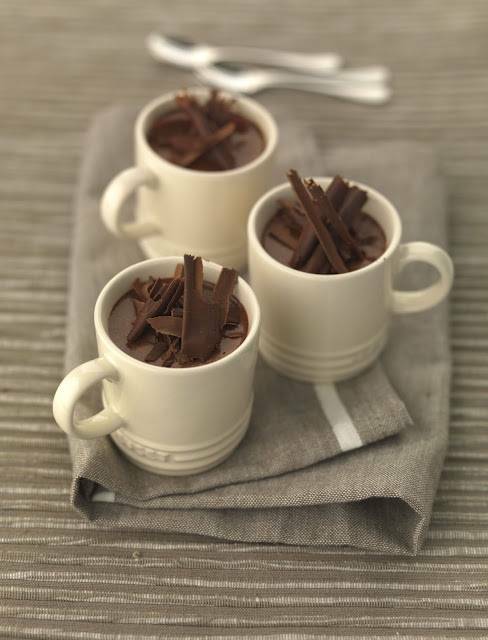 Funny Party Chocolate Pots to try out!! Put the milk and cream into a large pan and place over a medium heat. You want it to very gently come to the boil. Meanwhile break up the chocolate into small pieces with a knife. Put the chocolate into a liquidiser and once the milk has just come to the boil pour it over the chocolate. Put the lid on the liquidiser and whiz the chocolate and hot creamy milk together. The temperature of the milk melts the chocolate in about 30 seconds. After 30 seconds crack the egg and add it to the liquidiser and whizz again for about 45 seconds this time. Divide the mix between 6 little espresso cups and leave them in the fridge for a couple of hours to set. You can make the night before if you like – but I wouldn’t make them any further ahead than that. Serve them on the saucers that match the cups. Garnish with shaved chocolate shards. "General Tso’s Southern Fried RC Cola Chicken…"
Looks so yummy! Thanks for sharing Clairejustine! Looks absolutely delicious! I would so love to try some. I am sure they taste as good as they look.